Tuff-Link I/O Boxes consolidate up to 12 connections into a single base unit which reduces the cabling required in control system wiring. 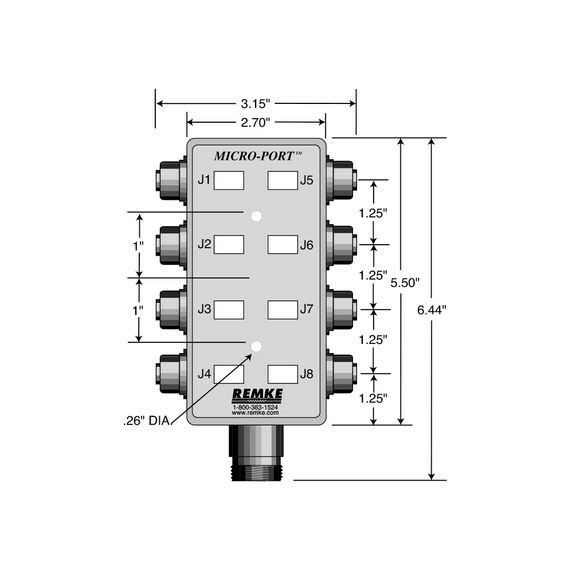 These boxes can be used with either 12mm or 18mm proximity sensors, limit switches, solenoids or miniature controls. All I/O boxes feature parallel wiring, gold-plated contacts for enhanced connectivity, and are available with PVC, PUR or Rubber cables to address different environmental concerns.